Australian Indigenous men suicide rate is the highest in world. Suicide rate for young Indigenous men highest in world, Australian report finds. The rate of suicide among young Indigenous men is the highest in the world, according to a new report highlighting the challenges facing young Australians. The first ever Australian Youth Development Index (YDI) was compiled as part of International Youth Day. The index helps formulate youth development policy in the domains of education, health and wellbeing, employment as well as political and civic participation, measured across 16 key indicators. It rates a state or territory’s performance with a score between zero and one, with one being a perfect score. 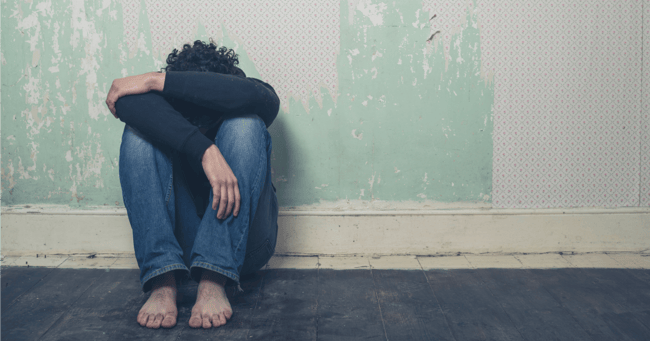 Among the reports findings were alarming statistics on youth suicide, which showed Aboriginal and Torres Strait Islander men between 25 and 29 had the highest suicide rates in the entire world. “What that says is that we as a country are failing that particular group of young men,” Youth Action chief executive Katie Acheson said. “When we look at all the countries that are measuring suicide rates it is shocking that Aboriginal males are so stigmatised and that number is so high. The index found Tasmania and Queensland recorded an increase in suicide rates despite national rates remaining steady. Health and wellbeing registered the most significant deterioration over a 10-year period, with the index&apos;s authors attributing that to mental health issues and the increasing use of alcohol and other drugs. Overall, the Australian Capital Territory had the highest YDI score at 0.851, while the Northern Territory had the lowest score at 0.254. The report also found employment opportunities for young people had declined in every state and territory, with the NT recording a drop of 80 per cent since 2006. It also found that in all states and territories, the percentage of young people not engaged in education, employment or training was significantly higher for rural youth than for those in the cities. "What was really interesting is that there&apos;s a really huge gap between rural and urban areas, so young people in urban areas are more likely to get a job and have education opportunities," Ms Acheson said. "Young people in regional areas have far greater inequality in that their access to education and employment is much worse than those young people in the city." However, the report suggested political participation by young Australians had grown. "The data is saying that in some areas we&apos;re doing pretty well, so political participation in Australia has gone up since 2006," Ms Acheson said. "Pretty much everywhere we&apos;ve seen an increase in young people having more of a voice and taking more action." The index took information from the Australian Bureau of Statistics, including census data, as well as figures from health and education departments, such as NAPLAN data. The report also found that despite a high level of youth development in Australia compared to other nations, there were gaps at a regional level, between city and country and Indigenous and non-Indigenous youth. It also found that many important youth issues were not measured by data or were measured but those figures were not readily available or comprehensive enough for analysis by indexes such as the YDI. Nonetheless, in a global context, Australia&apos;s YDI was considered "very high". The report also found that Australia had improved in all domains except youth health and wellbeing, where it had gone backwards, against the global trend. The report said the Northern Territory had the highest proportion of young people in its population out of any state or territory — around one in every three people — but had managed to register the biggest improvement in its performance over the 10-year period, with a 30 per cent increase in its overall YDI score.